We have a Virtual Chapter of Podcast Brunch Club that meets monthly via video conference. All are welcome! Our Facebook Group is a listener-focused group and great place for to interact, share feedback about the month’s podcast listening list, and to share/ask for recommendations. We’ll also post new chapters and PBC announcements there. Follow us on twitter! Tell us what you’re listening to, your reactions, and your recommendations. Every wanted to be on a podcast!?! Now’s your chance. Every month we put out a PBC podcast roundup episode and we include our community’s voice. 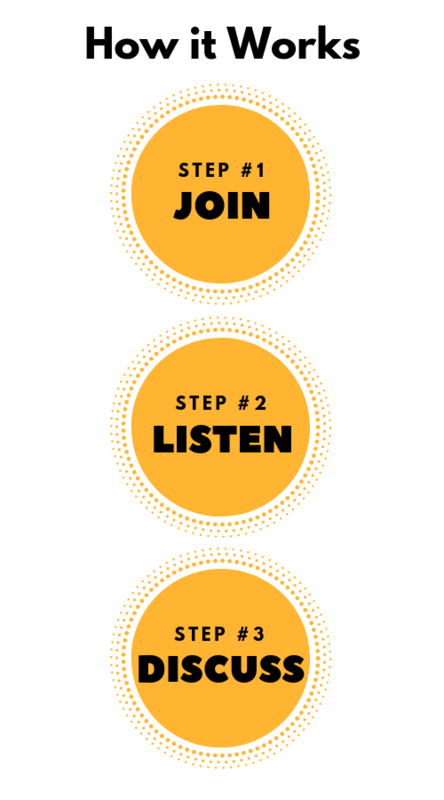 Keep an eye out for the conversation starter questions and instructions for how to add your voice to the discussion. 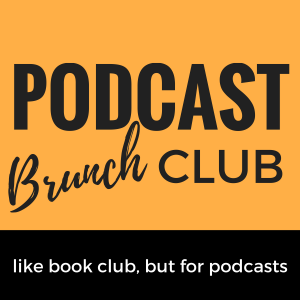 For all you Redditors out there, we started a Podcast Brunch Club subreddit! We’ll post monthly playlists, conversation starter questions, and even a few details about our in-person meetings.